How do I reach P.O. Ackley? You will need a medium, he passed away in 1989. To provide information about P.O. Ackley and the people who worked with him over the years. What can I buy here? We are assembling a reading list that will help the average shooter or reloader to become more knowledgable about Ackley Catridges. This includes a variety of wildcats beyond just the famous "Improved" designs. Check out the Home page for these items. Next will be reloading dies and brass, we will be on the look out for appropriate products as time goes on. Mr. Ackley was likely the most influential gunsmith and barrel maker of the 20th century. He worked in gunsmithing from 1936 to 1989 when he passed away. He is best know today for "Ackley Improved" cartridges. 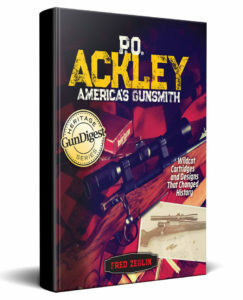 If your a gun buff, you need to learn about Ackley, it will save you years of time at the range. Trust that Ackley tested nearly any concept you can imagine if it has to do with ballistics. Where can I get Ackley Improved Chamber Reamers? 4D Reamer Rentals LTD stocks them all along with gauges. 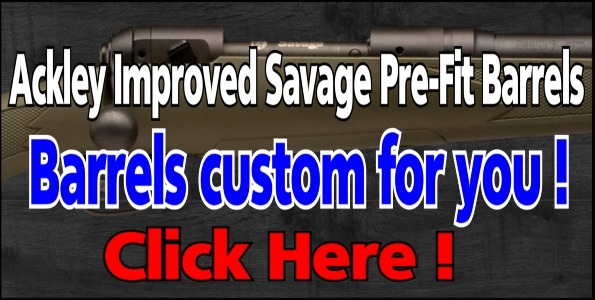 This is a great way to do a chamber without buying a tool you will probably only use one time. Save money and time. I want to learn more about working with Ackley Cartridges, where do I go? Powered by Tromax Theme. © 2019 P.O. Ackley. All Rights Reserved.